Hi, my name is Gusbet Fitrian. 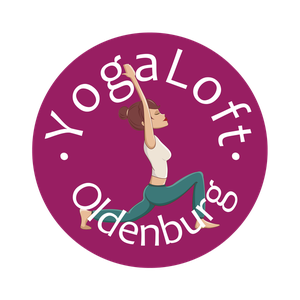 First of all I would like to thank you Ananda to give me a chance to teach at her beautiful Studio, YogaLoft Oldenburg. Me and my family move to Oldenburg last year July 31st 2016. We moved after living an expat life in Singapore for five and a half year, before that me and my husband live and work in Jakarta Indonesia. My origin is Indonesia. Born in Padang, Indonesia on 30.08.1978. I choose yoga as my path or yoga that choose me to be on its path?, I stop questioning this already. I am in the stage of surrendering myself to it. Trough the hands of my teachers that I met all along the way, I would like to share my journey with others, just how they share it with me. Beside eager in teaching, I am eager in learning. I like to attend as many workshops as I could. And come back to see my teachers as much as I can. I hope I can see as many souls as possible in this life and surrender together in our practice. Below you can find a little bit about my background. Thank you for reading and have a great time always.